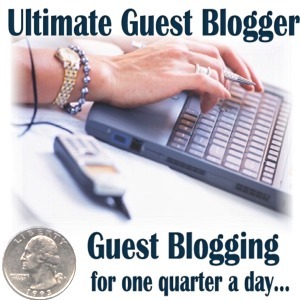 Guest posting on other people’s websites is a great way to bring exposure to your ideas and enhance your online reputation. 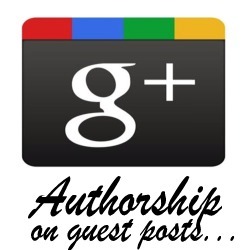 However, to ensure your content is protected, you should implement Google Authorship in your guest posts. In this article, we will tell you how to do just that. There are many articles on how to implement Google Authorship on your own websites. I prefer this Google Authorship How to Video page but there are many good ones out there. You then need to visit your Google+ page, click the “About” tab, and add the website under the “Contributor to” section. This is a fairly simple process that many people have already employed. In reviewing how Google Authorship traditionally works, do you see what the problems may be with Google Authorship on Guest Posts? If you said, “Of course, I see. I don’t have the ability to access the HTML code on the guest site!”, you would have been spot on. The solution that we need to implement is to include the Google author information in a standard HTML link over which we have control. As we look at the information above, we first need to determine What Our Google+ URL is. For example, mine is https://plus.google.com/109574328854768879927. (Go follow me now 🙂 ) Yours is just like mine but it is a different # which can be found on your Google+ page. Finally, as per the traditional method of setting up Google Authorship, you will want to add the guest web site to your “Contributor to” section on your Google+ About page. Is it all set up correctly? To verify, you can use the Google Rich Snippets utility. Below, you can see how I verified Google authorship using the snippet tool on this very post. And that’s how you implement Google Authorship on guest posts. If you have any questions, please don’t hesitate to ask them in the comments section below.